Cavoodle is a cross of two pets, the Cavalier King Charles and the Red toy poodle. The former is originated from England and later is originated from Germany and France. The size of Cavoodle is not easy to determine because it is the mix of two breeds. The estimated length of this pet is approximately 25cm. The weight of a fully matured Cavoodle is approximately between 5 – 6.5 kg. They are known for fair, soft and a poodle like coat. The Cavalier’s coat sheds while on the other hand a Poodle’s coat does not shed. This is the reason that Cavoodles have low shedding coat. 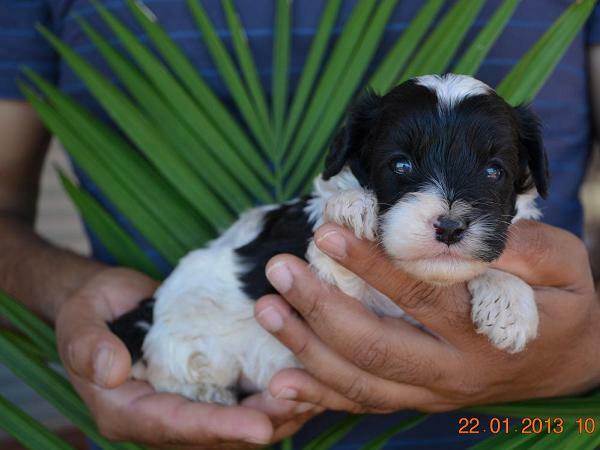 Cavoodles are also called pocket puppies as they have no shedding and they need regular grooming. Such as, they need to be brushed once a week. They need their hair to be cut after 8 months but it is also necessary to have their hair trimmed on regular basis so that their coat looks even and proper. They need to take bath every few weeks. If you give them bath very often, they will lose their particular puppy oil. There must be special puppy shampoo as adult shampoo can damage their coat. Cavoodles love to make friends from small kids to adult. They are friendly to everyone either animals or humans. They are very intelligent so it is very easy to train them. They are aware of their surroundings like humans. The life expectancy rate of Cavoodle is not very high. Their estimated life spam is only 15 years. They are indoor pets and do not create mess at home. They also love to go for a walk and spend time outside. They are very conscious about everything. If they are left alone at home, they do not scratch the wall or furniture etc in order to spoil it, instead their curious nature makes them observe everything in the room quietly. The Cavoodles are born with long, soft and floppy ears. They have a large and round face giving them an everlasting puppy look. If you want to buy a designer dog, you need to be aware of diversity of variations found among them. All puppies look alike but their nature is different due to genetic combination of each parent. So some pups look more poodle like, while others look like a Cavalier. A variety of colors is also found in them. It ranges from solid black, white, chestnut or gold all over. Some pups are the combination of two or more colors. Irrespective of the color of the puppies, the coat does not shed that sooner. In this case regular grooming is needed. Poodle-like puppies have long coat and need brushing around three or four times a week. On the other hand Cavalier pups have low shed so once in a week brushing is enough. However cutting is necessary three or four times in a year. Poodles like pups require more clipping as compared to cavalier. The Cavoodles appear to be the best breeder of poodles and cavaliers. They are very intelligent, compact and healthy animals having wonderful temperament. They are aware of everything around them and seek human company. Deliberately bred Cavoodle has a sweet temperament. It is gentle and cheerful with children. The toy poodle is another breed which is known for its intelligence and loyalty. If they are over spoilt by their owners they are known to have neurotic tendencies but if they are crossed with animals having gentle and compliant temperament, this tendency can be diminished easily. For example, the breeding of a poodle and cavalier has reduced the aggressiveness of poodles and produced a gentle puppy, the Cavoodle. It is very important to note that owners should not spoil their dogs excessively. This lovely little creature is suitable for everyone and mingles in most of the lifestyles. It is an intelligent dog and is not hyperactive. It also loves the human companionship. It can live in small homes with no yards. These dogs do not require much exercise and can be benefited from regular walk only. Cavoodles are the puppies having the temperament of cavalier and poodles. Let’s have a look on both the types briefly. The Cavaliers are very adaptable. They are very affectionate, playful, patient and cool, which makes them always ready to please. They are not shy to entertain others. They quickly get into any kind of environment, family, people and location. They can easily bond with other dogs so it is very easy to keep more than one dog in home along with them but the condition is that the other dog is well trained. They are suitable for all age groups from a kid to adult. They are average intelligent in work. They are obedient, keen observer, curious and enjoy playing on cushions and even in your lap. The Cavalier King Charles Spaniel is a keen, friendly and loving dog who always seems to be shaking its tail, extrovert and sportive. 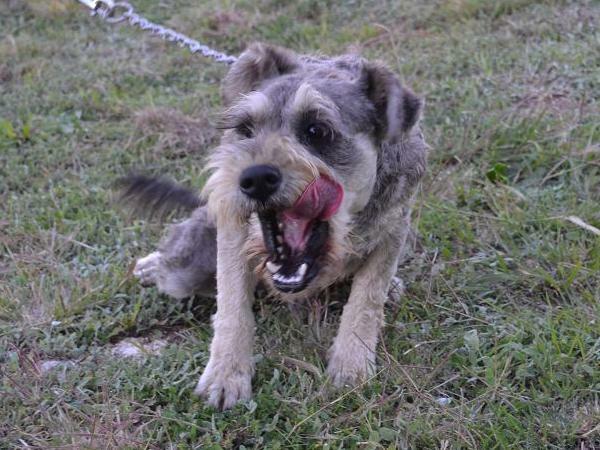 These courageous energetic little dogs are enthusiastic and willing to give pleasure to others. They are intelligent enough to observe your movements and therefore are usually easy to teach and respond well to moderate obedience training. They are very gentle and behave naturally with other dogs and humans. They love people, enjoy friendship, and need attention. They should not be left alone all day because they need full time company. If you want to go outside and leave them alone at home, you need to have a walk along with them so that they can take rest for a longer period of time and you can leave home easily. The Miniature Poodles are more intelligent than cavaliers. They can be trained easily and are very eager to make their handler happy. They are very clever, and often used as circus dogs. The more intelligent a dog is the more it needs its mind engaged. They cannot live alone. They need a family to be lived with. They can be neurotic if not given the appropriate type and amount of exercise. 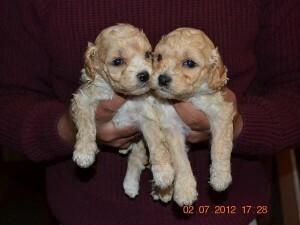 Our Cavoodle puppies are the mixture of above two puppies. The qualities of Cavoodle are the mixture of these two. They are very affectionate, humorous, patient and keen to please like the Cavalier. They are also intelligent, fantastic and faithful companions like the poodle. It means that the blend is more intelligent than the pedigree Cavalier and less ‘hyper’ than the pedigree Poodle. They are very sensitive for their owners and love to sleep in their laps if given a chance. They also love to go for a walk along with their master. Whatever their master is doing, they also love to do that. Cavoodles love to have excitement so their training shouldn’t be boring and spice less. They are easy learners and will learn the rules quickly and can be trained with little exertion but it is important to be strict with the system of the house so that they know well what they need to do and what they need not to do. Their attention period is very low when they are young and these friendly creatures are curious about everything happening around them. Therefore, it is suggested keep their training times short when they are puppies and correct their mistakes when they are young. An essential factor in the care of your pet is to take care of their health and diet. Fats on Cavoodles’ body can cause many health issues and reduce their life expectancy. Canine obesity can cause joints problem by gathering extra fats on their joint muscles. Heart and lungs are also the victim of this disease. Appropriate care for your dog at any stage of its life is vital for its good health. When you first bring your puppy home, you need to have a puppy food formula with you that should contain essential vitamins and minerals. According to the studies and research, two of the foremost causes of overweight pets are too much food and inaccurate portion sizes. Offering meals as reward for a good job is a good practice. One treat, a piece of cheese or a bit of apple is adequate. Small, silver dollar sized pieces of lean meats, like chicken is a good bonus to their daily dry food. Do not give them similar treat daily, they may get bored of it and do not eat heartily. Canned food is not good for their health because breed dogs have sensitive digestive system and do not adjust with sauces and gravies used in the canned food. Pups also can’t digest rice, so avoid giving them that. You should consult your veterinarian before giving any minerals or vitamins. He is the only person who knows well what is appropriate for your dog. Therefore, the selection of good healthy food is very important. One more thing should be kept in mind that this dog drinks a lot of water. You need to take good care of your dogs as they cannot live without love and proper care.